Wood shakes are known for their rustic and timeless beauty, while asphalt shingle roofing has unmatched benefits, affordability, and weight. With GAF Lifetime Designer Shingles, you can enjoy these wonderful features in a single product. 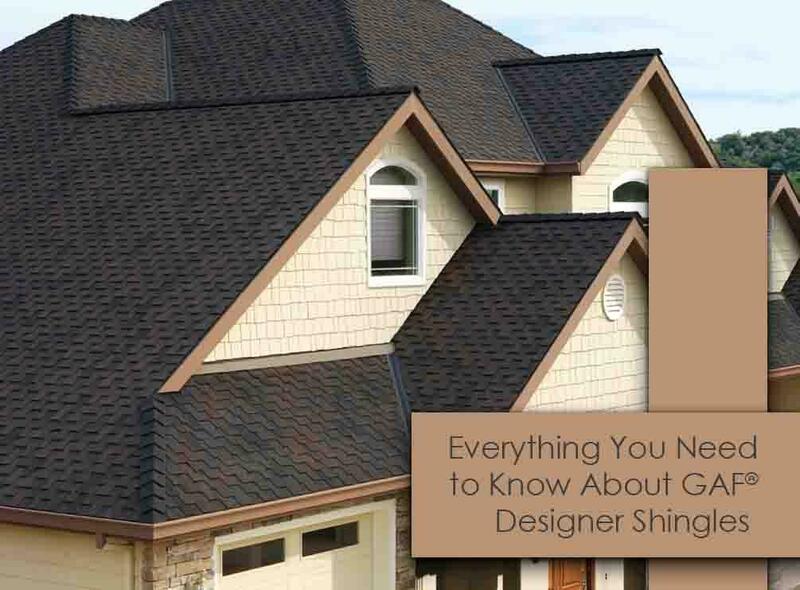 Additionally, this shingle line is backed by the brand’s years of research and development on roofing material, ensuring the highest quality possible. Tedrick’s Roofing is proud to be one of the top roofing contractors recognized as a GAF Master Elite™ roofer. This designation allows us to offer and install the brand’s high-quality products. Their Lifetime Shingles, in particular, offer a number of advantageous features. Our GAF Lifetime Designer Shingles feature unique designs that go well with our custom color palettes. The brand’s layered shingles create realistic textures that provide a sophisticated look for your home. If you are looking for something leaning toward Spanish or Mediterranean style, GAF Lifetime Designer Shingles also offer Monaco® Shingles that suit these architectural styles better. Meanwhile, their Sienna® Shingles perfectly complement the beauty of Queen Anne-style homes. When you invest in Lifetime Designer Shingles, you are guaranteed to end up with a beautiful and appealing roof. GAF incorporates the natural irregularities found in genuine wood shakes and slate to give their Lifetime Designer Shingles an authentic, handcrafted look. For improved roofing performance, we recommend GAF Ultra-Premium Designer Shingles. This shingle line features GAF Advanced Protection® that increases granule adhesion and minimizes loose granules. It also comes with StainGuard® that prevents algae stains. Together, they help maintain your roof’s beauty for years. Along with a boost in your home’s curb appeal, GAF Lifetime Designer Shingles offer superior protection against the harsh elements. When installed as part of the brand’s Lifetime Roofing System, you can rest assured that you are fully protected. GAF Lifetime Designer Shingles can withstand wind speeds of up to 130 mph. As a GAF Master Elite contractor, we can back our services with GAF’s Golden Pledge® Limited Warranty. This provides a coverage of up to 50 years for material defects and up to 25 years for installation. You can also transfer this warranty up to the next owner. You can enjoy the benefits of your new roof for a long time with our GAF’s strong warranties. We serve residences in Federal Way, WA, and the surrounding areas. When you work with our expert team at Tedrick’s Roofing, you can expect no less than exceptional services. We specialize in roof repair, replacement, cleaning, and storm damage. Call us today at (253) 499-9660 or (877) 212-9355 to request a free estimate. You can reach us by filling out our contact form.